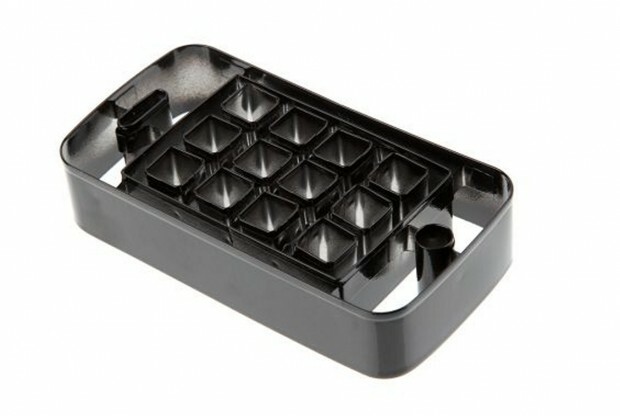 iPhone Cake Pan Will Produce An Obsolete Cake | OhGizmo! If you’re going to go to the trouble of making an iPhone-shaped cake, it’s because the person it’s intended for probably really likes Apple. Yeah, you know the type. The fanboy, the one who camps out days in advance whenever an iPhone launches, and who has all kinds of answers to every valid criticism of an Apple product that’s thrown at him. He’s… an Apple snob. So, you know what, the above cake mold is very likely to product a cake that will leave him disappointed. Because, you see, that’s not an iPhone 5 cake: there are only four rows of icons. He will eat it, and smile, but deep inside he’ll be thinking that if only you’d done your research you’d be eating the latest generation Apple cake. Geez. No, we’re kidding. People like that don’t exist. Right? Right. There’s actually six rows on the iPhone 5 if you count the fixed home row. All previous iPhones had 5 rows total. This cake pan never emulated the phone properly. Wow, what an utterly bitter description for a cake pan. But actually I doubt any fanboi would buy this as the whole concept is ridiculous.